Many Albertans have been enjoying an unusually warm start to December, with some locations 15 degrees C above average. Lethbridge and Grande Prairie both set new record highs Friday, with temperatures above 14C, around 60 deg F, while Calgary, Sundre and Claresholm were all notably close to new records. 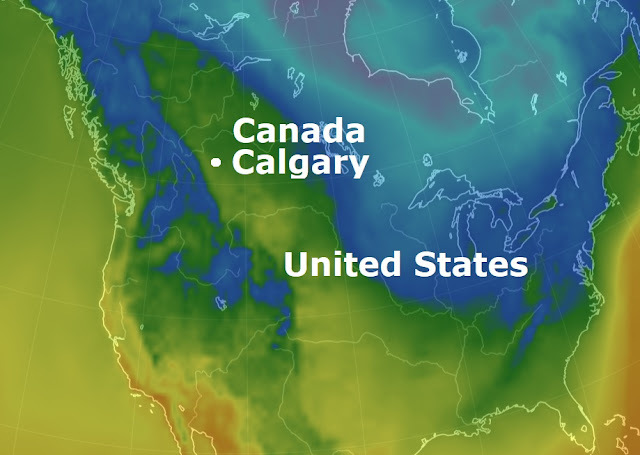 On Saturday Calgary unofficially broke a 127-year record by reaching 15.1C- 60 deg F.
The old record of 14.4C was set in 1890, just nine years after Environment Canada starting tracking temperatures. The heat is expected to continue for most of southern Alberta. Overnight temperatures next week will actually be closer to the average daytime high, with some lows remaining above 0C.